Although it’s now mostly only remembered as Rod Serling’s other spooky anthology series—or possibly for inspiring the framing device for one of The Simpsons’ best “Treehouse Of Horror” installments—Night Gallery has a longer legacy than one might expect; it ran for three seasons on NBC in the early ’70s, and even served as one of the first directorial outings for a young Steven Spielberg. 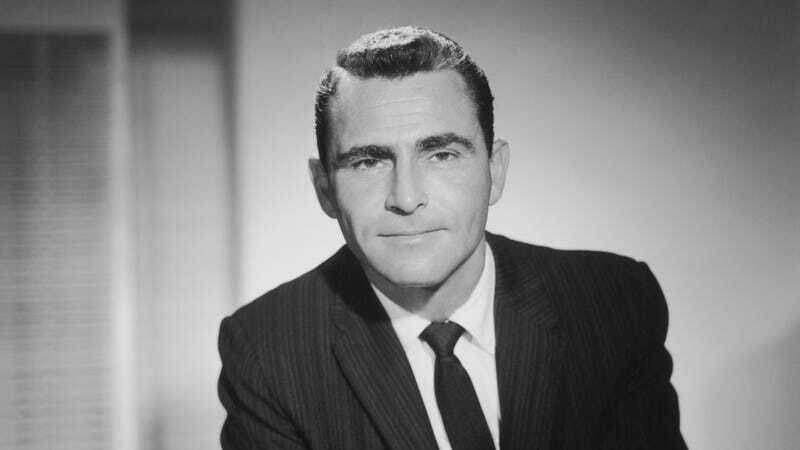 Now Syfy is hoping to capitalize on all that “Oh yeah, that show existed!” nostalgia, announcing that it’s putting a Night Gallery revival in the works to potentially compete with CBS All Access’ Twilight Zone reboot. Per Deadline, the series comes from Teen Wolf’s Jeff Davis and Midnight, Texas’ David Janollari, and is being produced in association with Universal TV and Universal Cable Productions. The original Night Gallery distinguished itself by frequently focusing more fully on horror stories, in contrast to Twilight Zone’s frequent departures into science fiction and fantasy. (The works of H.P. Lovecraft were a frequent touchpoint for the former show.) It’s not clear yet whether Davis and Janollari’s new show will adopt a similar skew, although we can probably expect that they’ll work in the show’s “walking through a creepy art gallery at night” conceit.